Custodians, also called janitors, are responsible for maintaining public or private spaces such as schools, stores, or office buildings. Custodians clean these spaces, but they also maintain equipment, alone or on teams. 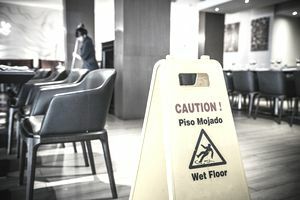 Some custodians work primarily when other employees are no longer in the building, but others may frequently interact with employees and the public. When preparing to be interviewed for a custodian position, you will want to do everything you can to show the interviewer your attention to detail and custodial knowledge. Expect questions about how you have cared for equipment, how you clean, and how you have solved problems in your previous experience. As you prepare, have a look at this list of frequently asked interview questions for custodians and practice your answers in advance. Do you have any custodial experience? Custodial work requires a complete understanding of cleaning equipment and strategies. Share with the interviewer any prior experience you have that is relevant to this position. How do you stay motivated during repetitive tasks? The interviewer wants to know that the quality of your work will remain consistent in spite of its repetitive nature. What has been your worst custodial experience? The interviewer knows that you will encounter occasional obstacles. Share an unpleasant experience or a time when something didn't go as planned and explain how you handled the situation. Are you comfortable working night shifts? Do you have the flexibility to work overtime or on weekends? Are you able to lift heavy items and remain on your feet for a large portion of your shift? What certifications do you have? What certifications would you like to earn? Do you have specific training in handling and disposing of hazardous materials? How often do you clean your cleaning implements? Describe your methods of cleaning. How do you perform quality control in your work? Do you prefer working alone or on a team? Why? Tell me about a time when you had to use your own initiative to solve a problem at work because your supervisor was unavailable. What happened, and what was the result? What would you do if you encountered a customer who believed you had done something incorrectly? Describe a time when you had to deal with a difficult member of the public. What happened? How did you handle the situation? How did you fill downtime at your previous job? Tell me about a time when you couldn't repair a specific piece of equipment. What happened? How did you handle it? How would you answer if you were being asked to do something that wasn't on your list of job responsibilities? If I were to ask a previous employer to describe your personality or work ethic in three words, what would they be? What do you believe to be your greatest strength as an employee? Your greatest weakness? During your interview, be prepared to mention the specific janitorial skills that you can offer an employer. These might include administrative skills like record keeping, scheduling, and supply ordering, mechanical skills such as carpentry, painting, and plumbing, and basic cleaning skills like mopping, waxing, chemical use, and waste disposal. Employers will also want to know if you have good interpersonal skills such as oral communications, customer relations, and teamwork. Particularly if you are the sort of person who gets nervous in interviews, you should take some time to prepare for the interview and practice your answers to these questions ahead of time. This is a great way to ensure that you don’t become tongue-tied during the actual interview. The best way to do this is to recruit a friend willing to role-play the part of the interviewer for you. Lacking this, though, it’s also effective to talk aloud to your mirror – the idea is to be well-rehearsed in your responses before you enter the interview room. On the day of the interview, eat a good and healthy breakfast; avoid ingesting too much coffee if it makes you wired. Make sure your interview clothing is clean and presentable – a reflection of the tidiness you will be expected to maintain on the employer’s premises as their custodian. You should also give yourself time to spare when travelling to your interview in case of traffic jams or other delays; try to arrive a few minutes early if possible.